Spending a little time acquiring new skills and techniques to create something beautiful to keep or give away, lifts you for a while, from the every day routine and cares of the world. 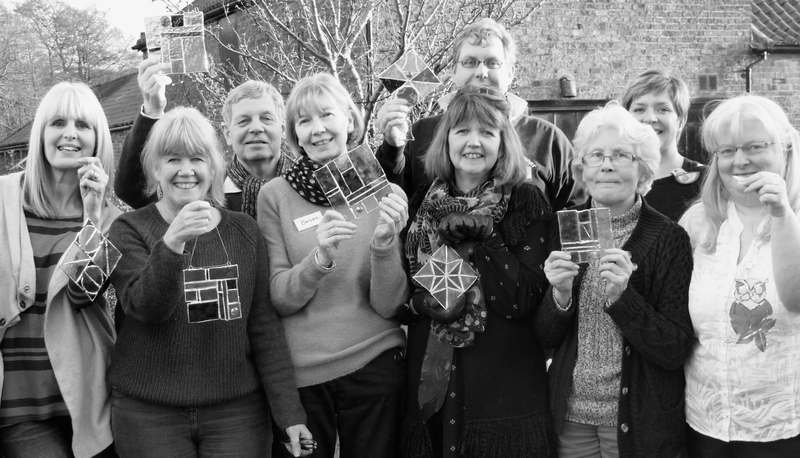 Escape to our cosy cabin studio in the Yorkshire Wolds, and choose from a variety of disciplines to master, including Stained Glass, Basketmaking, Lino-cutting & Print-making, Needle felting and this year for a real retro throwback, Macrame! We offer a friendly and fun learning environment where tea-breaks are delicious and the views are inspiring. Book a day with a friend, drop in and focus on a three-hour evening project or even sign up for a course of sessions and complete something a little more ambitious. No previous experience needed, and if you've already got some then use the time to access the support, space and materials you need to hone your skills. Tuition, tools, materials, plasters (!) and refreshments are included. Spaces are limited and advance booking is essential. 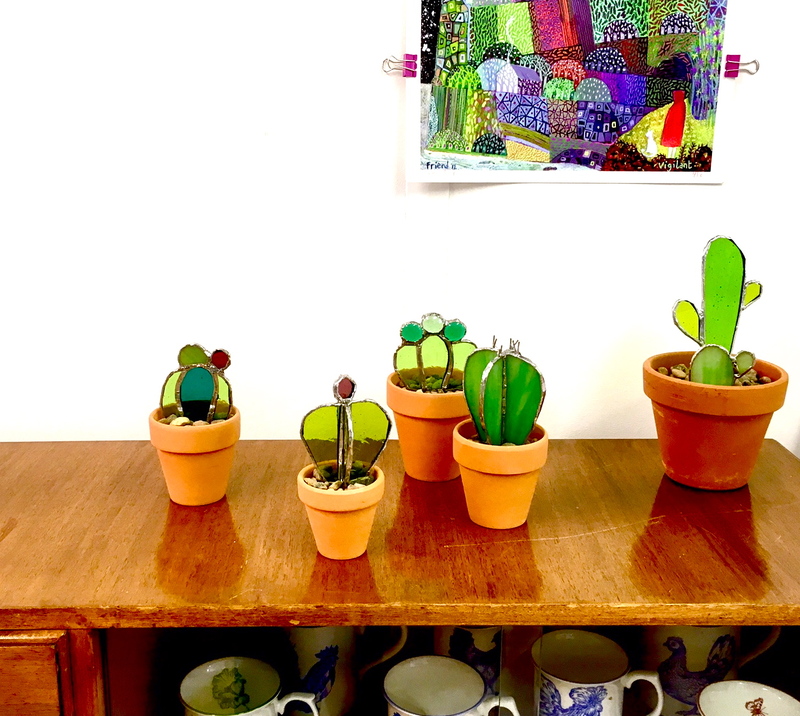 PRINT MAKING...cutting and scratching marks into a surface that is then inked up and pressed onto paper or card to create hand made prints of finely detailed textural designs or simple graphic shapes and patterns. 13th / 14th and 20th / 21st March 2018. Day Courses 10am-4pm. £50 per person. Learn how to handle cutting tools and then design and cut one or two lino plates with which to make a selection of greetings cards, gift labels or mini prints. Use different paper colours and weights to achieve some really exciting results. Then take home a folder of your new hand-made paper goodies and if you like, a starter set of tools to continue the fun in your own time, (you'll be surprised how addictive it is). 27th / 28th March 2018. Day course 10am-4pm. £75 per person. Create a colourful framed panel using the same copper foil and soldering techniques used in Tiffany Lampshades. 29th March 2018. Evening Class 6-9pm. £30 per person. Design, cut and create a glass sun-catcher to hang in the window using the same foiling and soldering techniques as Tiffany Lampshades. Simple templates available. 10th / 11th April 2018. Day Course 10am-4pm. 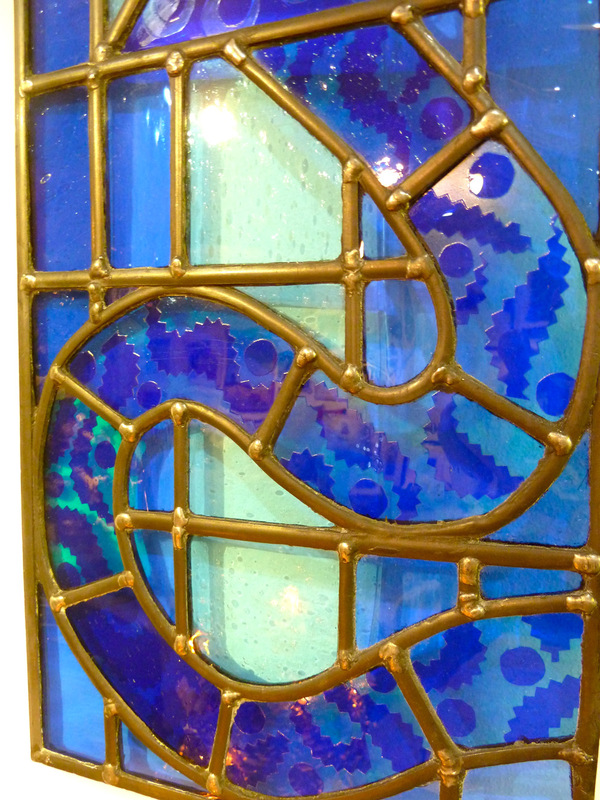 Design cut and create a small decorative leaded glass panel. This involves learning how to stretch and cut lead came, slotting the individual glass components together, and soldering them at intervals to create panels much like those found in traditional stained glass windows. HEDGEROW BASKETS... led by guest tutor Judy Johnston we will spend a little while gathering the raw ingredients for a mixed materials basket from the hedgerows nearby. Perfect for easter egg hunts or spring display. Dates and cost TBC. MACRAME... an ancient craft using knotted fibres and yarns to create decorative panels or useful items such as bags and hangers. Having seen a recent resurgence in popularity Macrame has become the cool way to display houseplants again, so come, peace out, and get knotted on a day's workshop to create a groovy plant hanger. Dates and cost TBC. For more specific information and to make a booking contact Emma-Jane on 07805837275, or use the contact page to email your enquiry.